He worked as a waiter, a tennis coach, a salesman, and a gallery manager before finding out that acting is what he wanted to do for the rest of his life. Showing promise at a young age, he initially earned a scientific baccalaureate from the Lycee Georges Pompidou in France. His Father’s video collection introduced him to several different genres of film, all of which he loved! Although his Father advised him against acting, he attended the Sorbonne University in Paris, majoring in Art History and Archeology, where he fell in love with acting once again. 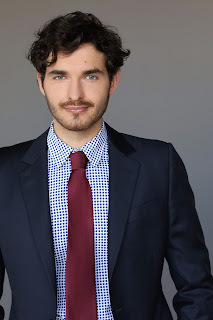 He graduated from the Sorbonne with a Bachelor Degree in Art History and Archeology and a Minor in Theatre. Moving back to Dubai he started working in a gallery as an art consultant, which he did for three years. After three years, his passion for acting overtook him, so he picked up his suitcase and moved to the City of Angels, Los Angeles, CA where he earned a Masters in Fine Art Acting at the New York Film Academy in Burbank. He is grateful to have been coached by people like George McGrath, Isabela Hofmann, Joe Basile, George Russo, and Ken Lerner, just to name a few. He became aquainted with acting techniques from Stanislavski to Meisner, from Meisner to Lee Strasberg, from Strasberg to Chekhov, Chekhov to Grotowski. He was able to take something from all of these techniques in order to create his own style. After graduation, he began to get parts by saying yes to any projects could get involved with. After much effort, he developed a great reputation, then developed a sort of domino effect. He began getting more work through referrals because people liked working with him. He went on to make a dozen short films. He wrote two films, directed one and even produced one, although he discovered he doesn’t care much for producing. "Life is about finding your purpose and embracing your journey. In my Acting class, I remember one of my teachers asked me: ‘What drives you to your goal?’ I simply told him ‘I want to be remembered and leave my stamp in this world. 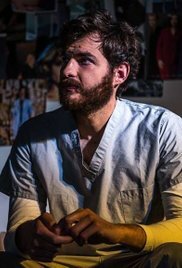 Even after I die, I can still affect people’s lives through my films.’ "
Cast as the lead in the multiple award winning Sui Side Inn, I play Chef Dimitri. Sui Side Inn tells the story of an innkeeper named Sui who helps people with their struggle. When you want to end your life, you stay at this hotel. However, everything changes when a young girl shows up at Sui’s doorstep. 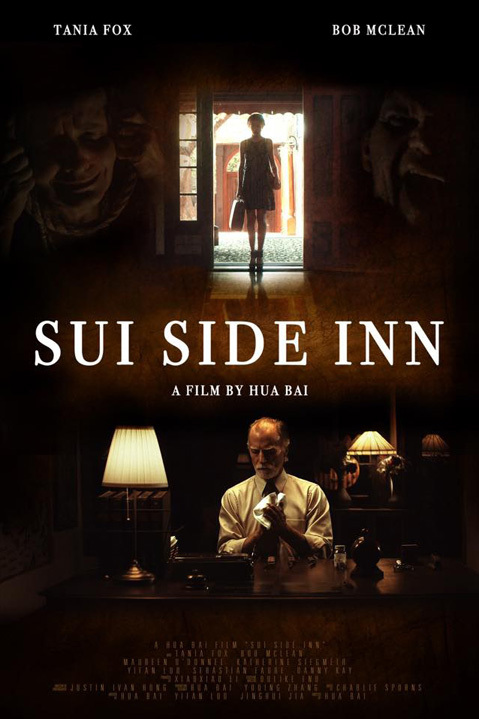 Sui Side Inn earned a 2017 Platinum International Independent award, 2017 LA Shorts award, 2017 Los Angeles Film Award for Best Editing, and a 2017 Best Drama Award from the LA International Film Festival. Sui Side Inn screened privately at Warner Brothers. In Retail Blues, he played the manager of a store named Josh. The film is a dark comedy that involves the story of an employee named Justine. During her tedious time working in the store, Justine is offered two incredible opportunities: one for singing and one for the store manager position. 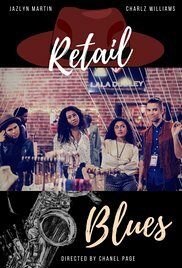 Justine’s first instinct is to push the singing to the side, but through persuasion and a little magic from the jazz musician who haunts her apartment, Justine can foretell her future if she does not follow her dreams of singing. Josh, is Justine’s manager who will try any means necessary to have her stay in the store so he can get promoted. In The Reverie, a psycho-thriller, he played a photographer named Michael Miller. After a long day’s work in his studio, Michael is closing up as fast as he can in order to celebrate his anniversary with his wife. When suddenly, an unexpected model shows up and insistently asks Michael if he can have his pictures taken. Michael is passionate about photography and decides to accept the stranger’s offer. During the photo-shoot, a conversation starts between both them and Michael soon realizes that Edward is here for a reason. Nothing is, as it seems. 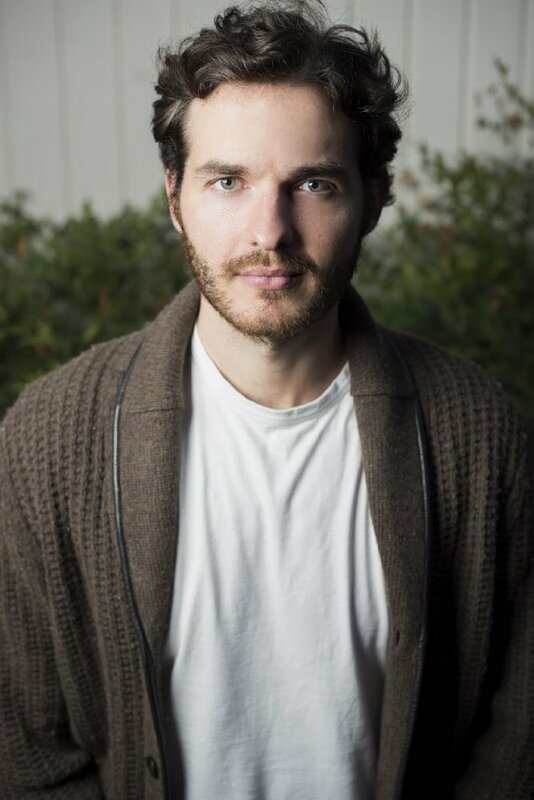 In Daughter of the Lake, he was cast as the lead: Roland. 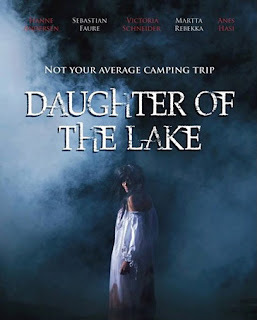 Daughter of the Lake is a horror film in which four college students decide to go on a road trip. Tensions start to rise when they find themselves stuck in the middle of nowhere. What was supposed to be a fun college trip turns for the worse when they seek shelter in an abandoned ranch next to a lake. Daughter of the Lake earned the March 2017 LA Shorts Award, Best Original Story by the Los Angeles Film Awards, April 2017 and Best Horror by the Festigious International Film Festival. Marlon Brando, Al Pacino, Robert DeNiro, Paul Newman, Orson Welles, Alec Baldwin are some of the actors that inspired me for decades. They are character actors who can mold themselves and fill in the shoes of any fictional character and bring fiction to reality with their dimensional craft and their emotional depth. “I strive to become like them and hopefully work with talent like them in the near future. These actors show the foundation of what an actor must strive to become, and the films we admire and respect today would never have reached their peaks without the involvement of these great actors." I remember my university days when we studied Art History and Archeology, and I was able to begin to understand more about our inheritance from previous civilizations through the studies of religion, historical monuments, and the findings of literature. I realized that the more we learn about history, the more we understand our past mistakes, so we can continue to evolve as a human species, as one. And those who are ignorant about history, what man created in the past, those are the ones who will make the same repetitive mistakes and never learn. It’s a vicious cycle: wisdom comes from knowledge, and knowledge comes from learning about the past, because once you are born on this earth, you inherit everything that was created before your life, like the pyramids of Egypt, the Eiffel Tower, Mount Rushmore, and so on. Nowadays, we strive for the future, but forget about the past. We become cooperative vessels, like robots, that work daily in order to feed sleepless monsters (companies). We're money driven, we close off our emotions for the rationality of trying to understand everything. We feed companies, yet they want more and they're craving more because it's never enough. Being professional is being emotionless, meaning losing your humanity. The only thing I can think of as an artist in order for me to keep my humanity in check, is to act. Because acting teaches me to have empathy, and emotions, and to understand the world for what it is. Mysteries of the world in all its colors. Acting helps me go through history, acting helps me understand others, acting helps me gain knowledge, acting is simply my therapy. Acting keeps me human. I do not want to become a robot that thinks only about money, because humans, values, and ethics, specifically HUMAN LIFE, is far more important than artificial paper: Money. We created our own utopia thinking it would work, but it doesn't. Let's try to preserve the remains of humanity we have left, before we lose ourselves completely. JUST LIVE! EXPERIENCE! FEEL! AND EXPRESS!